The old west is alive in historic Silver City. 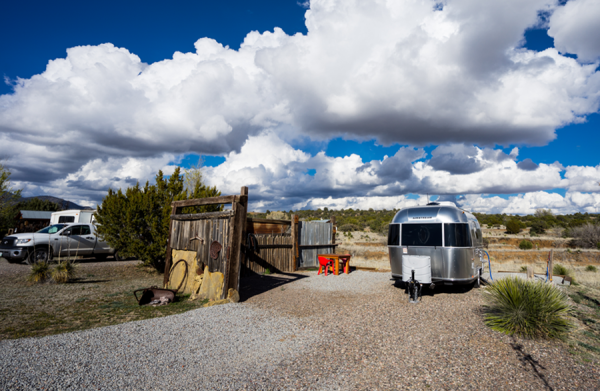 Enjoy high-desert hospitality, peace and quiet, and no hassles. We look forward to hosting you at our tidy and friendly park. 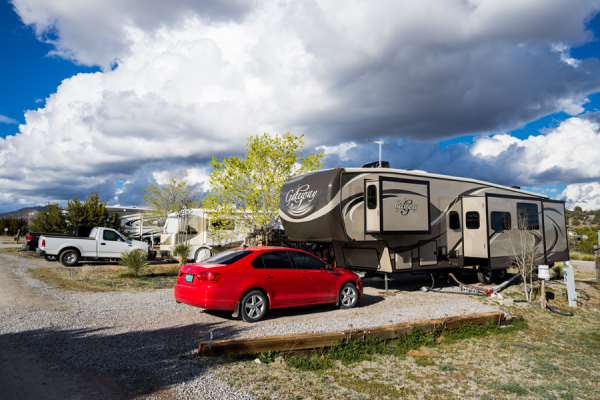 Choose from 69 spacious back-in and pull-thrus and relax with 20-ft of green space between sites. Plug in to our full hook-ups and enjoy free wi-fi. Kick back and stay awhile. Big rigs and group rallies are welcome. 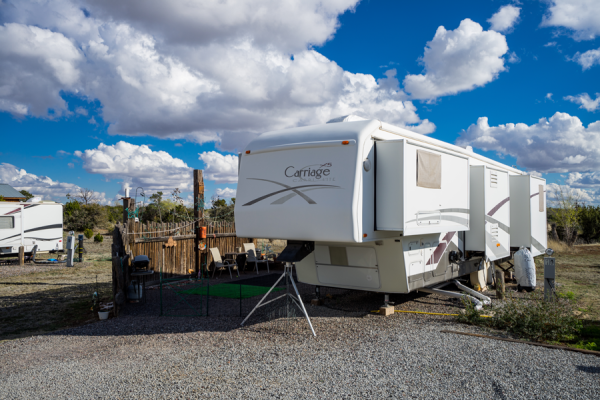 We offer a true oasis in the heart of Silver City—close to shopping and RV services, yet tucked away on a private bird and wildlife sanctuary. You're more than welcome to stay one night, but you might want to plan for a bit longer. That's just what happens in the Land of Enchantment. Download an aerial view of the Ranch PDF. For Ranch Guidelines scroll to the bottom of the page. 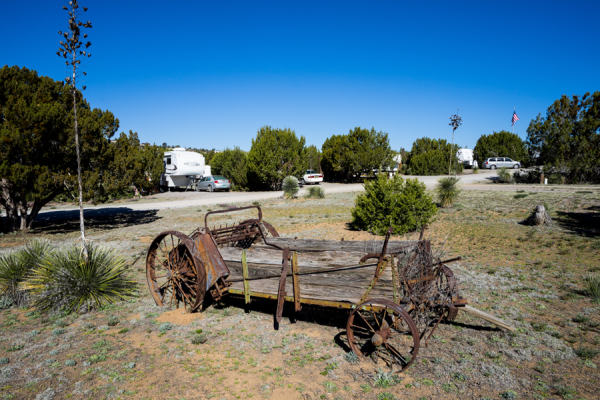 If you'll be staying at the Ranch for a few weeks or longer, contact the ranch to get information on having dedicated telephone service — with your own private telephone number — installed directly to your site by Qwest. 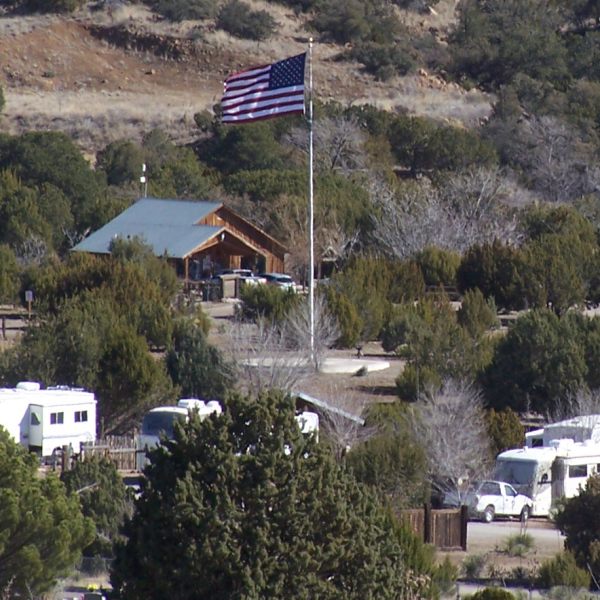 The Ranch offers free high-speed wireless access. 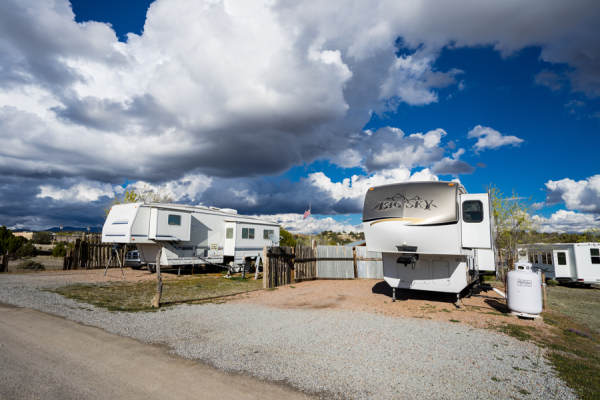 Wireless access is available from any site on the Ranch, however our rural connection is not always reliable. Streaming is not recommended. 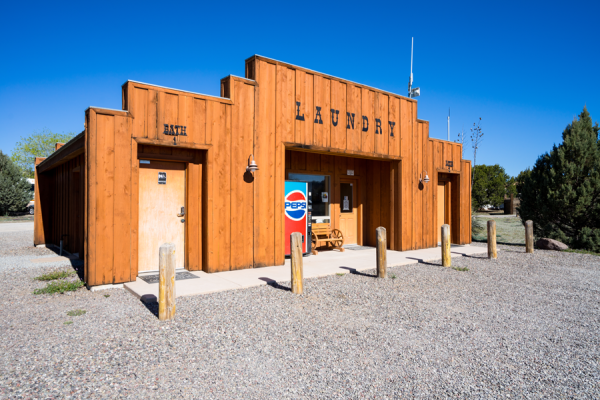 Dependable Wi-Fi is always available to guests at laundry facility and office. The Ranch offers modern sanitary connections at our dump facility. We are directly connected to Silver City's licensed and modern sewage treatment facility. 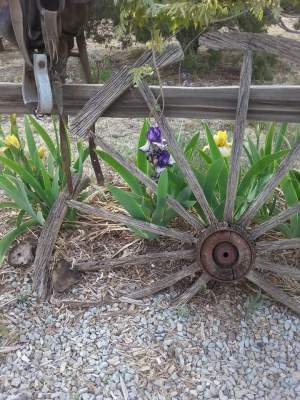 Visitors may not plant trees or flowers on the Ranch property. Container gardening is permitted. 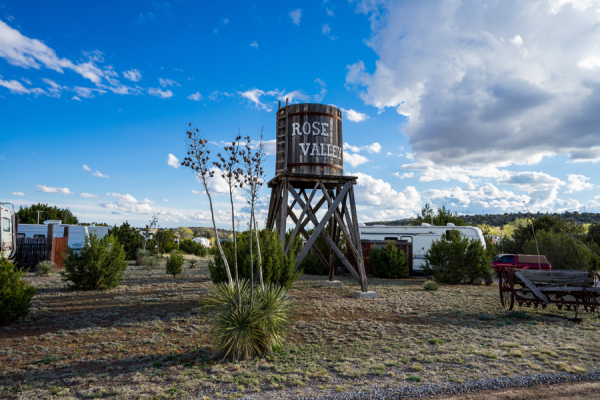 The Rose Valley RV Ranch and its management are not responsible for accidents, injuries or damage due to fire, theft, wind, flood or personal negligence. We reserve the right to refuse service to anyone for any reason having to do with the safe, quiet enjoyment of its patrons. We also reserve the right to address any issue considered a problem according to our policies and the law. Failure to maintain the peace, quiet, and respect of private property may result in eviction with no refund (including vandalism and theft).